In the late 1990's the Swick Family saw a need for a second Funeral Home in South Webster. They purchased a home located on Potts Street. The community welcomed their small chapel and in return the Swicks built the current funeral home. 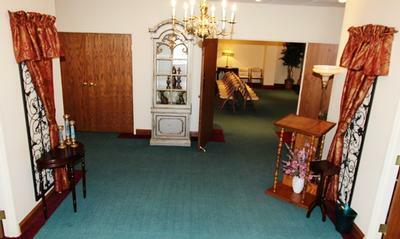 The new, large funeral home offers everything on one floor. 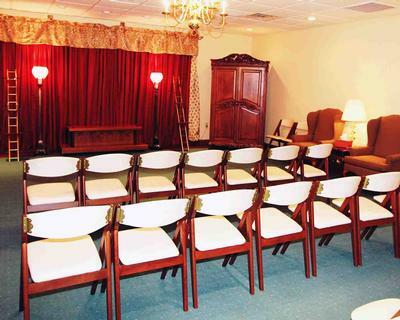 The funeral home has the capability of holding 2 or more visitations at one time. Currently, there are 3 large parking lots. 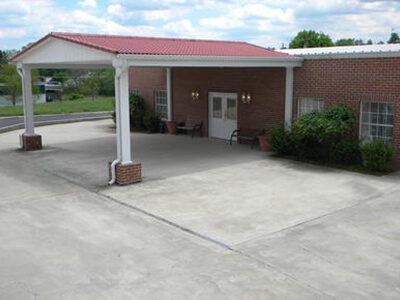 It also has a covered carport for inclement weather. In 2013 the South Webster Chapel grew considerably thanks to the trust of the South Webster community. 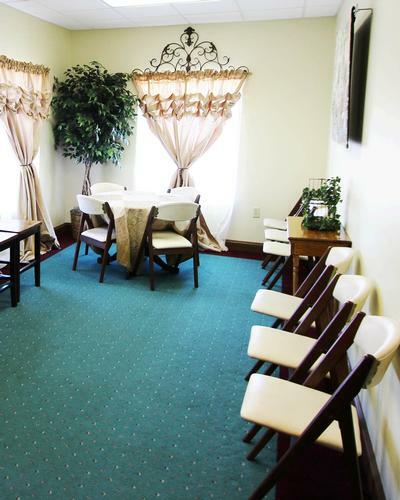 Although the funeral home is new, the Swicks recently redecorated. 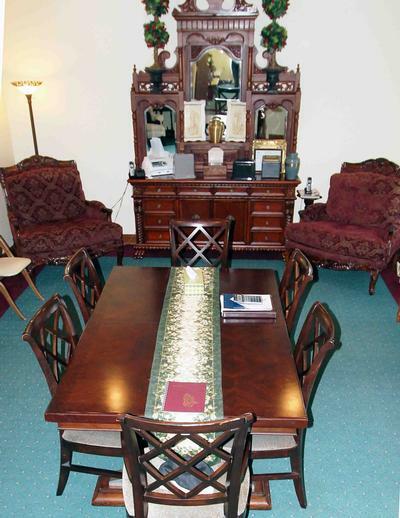 New furniture along with the antiques of the past makes you feel at home. South Webster's Choice for Caring and Compassionate services, no matter the circumstances. The lounge and coffee room.